I mean this in a good way (mostly), as being terribly addictive. I haven’t written a blog post in a week and I’m having the shivers, rocking back and forth, shaking etc (all this might come from being sleep deprived, though). I’ve been extremely busy with both work and some stuff which you will notice eventually, but it feels weird not blogging. Everyday I think about maybe ten new topics to write about, if people wondering why I haven’t written in over a week (since I’m usually fairly consistent), if anyone cares at all, if people want me to write anything more ever. At other times I feel bad, just in case someone is hoping for me to write something new, and I just don’t deliver. But also, this web site is such a fantastic way for me to express my feelings, to channel my thoughts, share any eventual knowledge I have since I sincerely think people need to share more with each other, and to get to know fantastic and wonderful people; people which I’ve had the consequential fortune to of actually meeting some in real life. Other ponderings is how many persons are readers who come back? How many have been around all the way from the start in ’05, how many are fresh new here for the first time? How many subscribe to my feed (misleading stats aside), how many hate me for tainting web developing posts with personal reflections, does anyone actually like reading thoughts on life, concert reviews and so on? Anyway, this is just my way of saying that I’m still here, I do want to write, I’m just a little busy at the moment but as soon as I’m on top of things, I’ll write again. I’m fine, just swamped with tasks that I have to finish. I’m rambling since I’m tired, and because I miss communicating with you. PS. How many thinks I should’ve spent this time writing a “proper” post instead of this sheit? 🙂 DS. I've been enjoying reading for quite some time now and will continue to do so. I also read 'the competition' 🙂 like Roger Johansson (www.456bereastreet.com) and Veerle (veerle.duoh.com) and I must admit I've noticed a decrease in number of posts with all three actually. But I think it's normal for busy people like yourself and I've wondered many times where you guys keep finding the time and determination to keep posting. Well, the first time I read any of your site was 2005, but I'm not sure if I commented much at the time. >>"how many hate me for tainting web developing posts with personal reflections"
Has it only been 2 years… only recently have I been a commenter but that's more to do with my having more free time lately to post comments on blogs. yes, addictive. mmm I'm an internet junkie too robert lol. 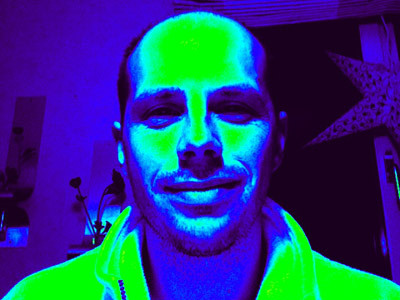 You look adorable in unnatural solarized colours. Been around since you blogged in Swedish 🙂 . I've been reading since sometime in 2005, though I don't remember what month I started. I've been subscribed to the RSS feed for a while, including the time when Bloglines somehow wasn't showing any new items from your blog. I've shared the news of your blog with my fellow Refresh Detroit members, and many of them now read your blog too. My comments are few. I'm more of a lurker who is in awe of the work you do, as well as the opportunity you've had to take time off and enjoy summers with your family. I enjoy your personal reflections, and have celebrated with you as your family has grown. Thanks! My aim/hope is to usually have at least 2-3 posts per week, although I'm definitely aware that this is a decrease from my almost standard 5 posts a week before. I hope you don't get too busy; love getting comments! Your words are way too kind! I really don't know what to say, but being touched. Thanks for reading and for tipping off other people! I love to read both your personal reflections as your interesting articles about web developing. I only whish i had more knowledge to respond you in a exhaustive way. I've been subscribing to your feed almost since the start, and one of the many reasons it keeps surviving my annual "feed list culling" (I'm very good at adding too many feeds to my reader) is that you actually "taint" web development posts with personal reflections. It gives your posts a personal and friendly touch that most technical blogs lack (imho).